pictures courtesy of Gary Ayton! comments: Man, that was a sunny day in OZ! comments: Hm, maybe 1 stop over exposed? Or not enough contrast? Both? Well, I had a quick try and after some histogram manipulation, it looks pretty neat! I still think that the original was a bit overexposed, although it was shot with the same camera settings as the visible-light shot. Now, shot with more wide-angle on the same day. comments: Indeed, there is a centre bright spot barely visible. According to Gary, "the central bright spot only seems apparent at wide angle, so I now try to just avoid widest angle if I can." comments: Now it looks a bit underexposed although the exposure compensation is still at -0.3! comments: After some tweaking, Gary clearly obtains a better picture. The downside is that the centre bright spot is a bit more visible. Gary uses a subtraction method: A shot of a uniform wall or similar is subtracted from the original shot. I detail a similar approach here. The problem might be that unless you are at full wide or full tele, it is kind of hard to shoot the corrective image at the same focal length. 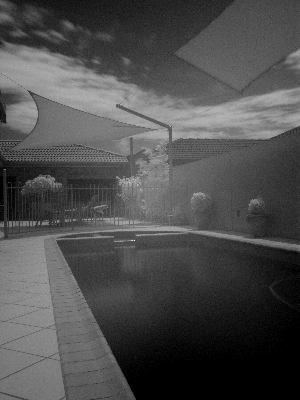 Until now, the Olympus 8080 is the least IR sensitive camera I have data about. So don't even think about using the Olympus 8080 without a sturdy tripod. Moving leaves and branches will result in heavy motion blur even on bright days. Gary informed me that the centre bright spot seemed to appear not on every 8080. My purely personal opinion about that: Depending on your shooting style (Wide/Tele), your filter, and your subject (plain area/diverse), the centre spot might be nearly invisible and overlooked by some. If you intend to shoot sky (what I love about IR), double-check if you can before buying. 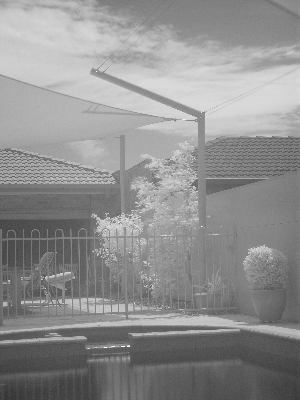 It is worth noting that the Minolta Dimage 7 / 7i / 7hi / A1 / A2 show a noticable bright centre spot only in colour IR. 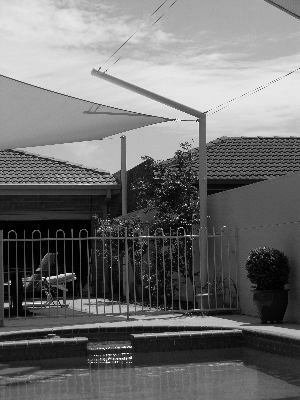 When shooting B&W, it is extremely hard to detect. This does not seem to be the case with the 8080, sadly. 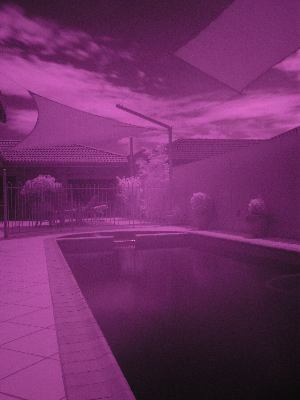 You can find more of Gary's IR shots with the 8080 along with some info here. Thanks again to Gary Ayton for these shots. Check his homepage or this or for great photography.